Two Brothers is a game that, like many toward the end of this year, had the misfortune of being assigned to a reviewer right before the holidays came along to hog our time with silly little things like “annual traditions” and “family togetherness”. Now that that pesky stuff is out of the way, let’s see what this unique indie title has going for it. 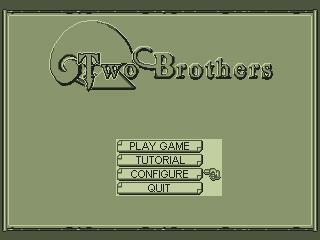 Two Brothers flexes the vast powers of nostalgia from the very beginning. 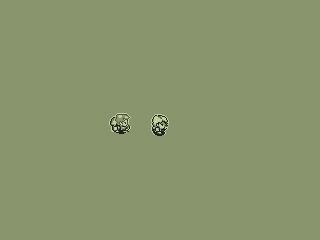 Anyone who entered the world of video games around the same time as the venerable Gameboy will recognize the olive drab and dark gray color palette, as well as the screen resolution offered up by two brothers. They nailed the look, both in terms of the colors and in terms of the art of injecting emotion and personality into the pixelated characters. Overall, the character design gave me a little bit of a “The Secret of Mana” vibe, which isn’t a bad thing. More importantly, if you look past the retro visuals which a cynical person might call a gimmick or a crutch, you’ll find a fair amount of uniqueness to the setting. The buildings, for instance, are animals. That’s not to say that they are houses with whiskers and tails. I mean that your home has a large, detailed pelican head on top, or perhaps a bear or fish. It’s certainly something I can’t remember seeing in another game. As I progressed, it began to seem that it might be more accurate to say that the animals are buildings, since at least one boss fight includes entering a door on the beast’s underside. If you are reading this and thinking, I don’t know if I’m a fan of the idea of playing a game with the sickly color scheme of late 1980’s handhelds, worry not. The main characters have your back on this one. As the story progresses, you’ll start to see more colors creep in. Sometimes all at once, but other times in small and dramatically relavant blobs. I’ll be honest and say that many people won’t be able to cope with visuals that are quite this retro. Stretching out a few hundred pixels to full screen resolution isn’t the most visually striking ways to present a game, and those seeking detailed visuals might not be able to muscle their way through to the expanded color palette later in the game. Also, as should be clear by now, the game toys with the medium a fair amount, including common video glitches as visual effects. Most of these, I’m sure, were entirely on purpose, but here and there the subtlety and inconsistency of them made me begin to wonder if maybe I was looking at an actual glitch. Hey everyone, let's live in this hollowed out panda! 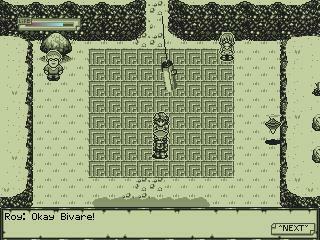 The gameplay of Two Brothers is another way in which it conjured memories of “The Secret of Mana”. You play with the standard Action RPG perspective, moving around in real time and slashing away at enemies with a variety of projectile and melee weapons. 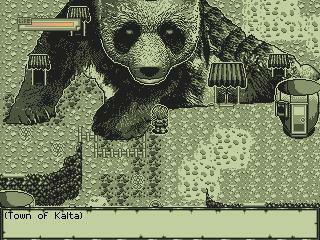 There are overworld sections, more detailed exploration and combat sections, and even roaming enemy encounters. Health is restored by finding hearts in the grass and in chests (both treasure chests and the chests of your defeated enemies). As the name of the game would suggest, your character does have a brother, and in more than one section of the game he’s following you around, computer controlled and hurling weapons at the enemies around you. The different control schemes allow you to control other characters separately as well, using the keyboard or a controller, though for much of the game I had little use for this. Amongst your weaponry are most of the RPG standards: knives, swords, axes, and whips. There are even some items that poke fun at the RPG arsenal. The “cheap boomerang” for instance does not always return. That made me chuckle. The way you put the weapons to use is fairly standard, though not without its unique elements. You attack with one button and fire arrows with the other. Pressing both buttons at the same time does a slow “super attack” that becomes more useful once a helpful villager points out that you can change positions during the attack to spread the damage around. Collectible and disposable items, like ninja stars, round out your armaments nicely. As well rounded as the combat options are, however, I couldn’t quite get hooked on the actual execution. Enemies that block never seemed to fall into an exploitable counter attack pattern. Things tended to feel clunky. You can collect tokens that give you a combo attack, but I never really seemed to find uses for it. This could just be my own inability to become accustomed to the combat system, but you might find yourself with the same difficulty. 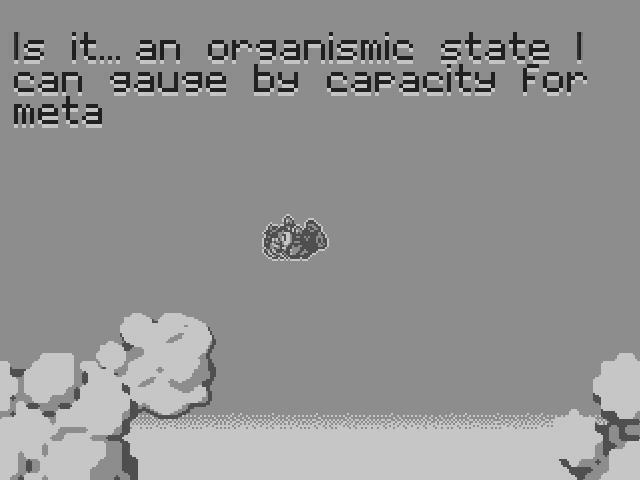 As the game progresses, additional elements are steadily added. You’ll be able to find shields to protect yourself. Portions of the landscape will prove vulnerable to placed bombs, too. 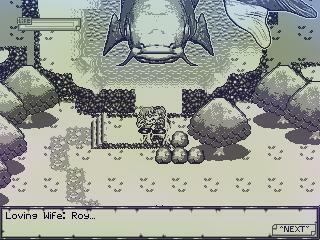 Beyond combat, you’ll find mini games like fishing. Cities will often give you fun little matchmaking or errand quests, too. Most importantly, though, are the puzzles. Like most other aspects of the game, Two Brothers likes to toy with your expectations. Some puzzles are straightforward but clever, like those that rely upon an invention that swaps your position with that of a statue that you shoot with an arrow. Others toy with the standard “put a box on a button” solution only to eventually reveal themselves to have a much more direct and simple solution. Death, rather than being a terrible punishment, is just a part of the game. Much of the story focuses on the afterlife, and thus getting killed is primarily just a brief journey back to the game’s version of limbo. The save system is a little out of the ordinary, in that you don’t actively save. Saving occurs automatically every time you enter or exit a room. This is handy in that you do it often enough to not have to worry about forgetting, but there wasn’t any obvious way to create multiple saves. On one hand this requires you to stick with the decisions you’ve made, and there are quite a few. 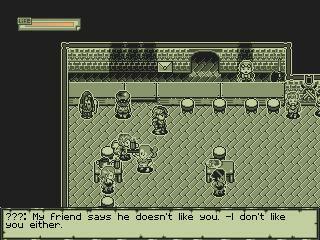 The game’s dialogue is navigated not with yes or no replies, but with “moods.” You can reply angrily or happily, for example. Sometimes the game will let you cycle through the various responses and see all outcomes. Other times what you do sticks around. The other side of the single save system is that if something happens to your save, you’ll have to start over. This happened to me at least once (thankfully early on). The game warns you not to exit the game while moving from one room to another, but after leaving an area and sitting on a blank screen for a few minutes, I had to exit out. Sure enough, upon loading, I loaded into a presumably corrupt save where I was aimlessly wandering through a void of nothingness. That is my main issue with this game. As fun and clever as much of the gameplay and presentation is, it just doesn’t feel finished. Traps will frequently cause me to jutter in and out of the walls. An enemy that jumps out of a hole in the wall had about a fifty percent chance of just lodging me into an obstacle, requiring me to reload when there was no way to extricate myself. The game just doesn’t feel complete, with far too many rough edges and stumbling blocks for my taste. 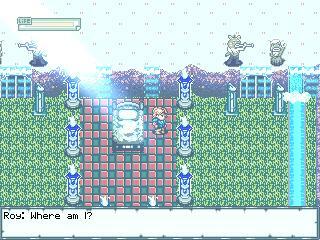 It has a chiptune-y soundtrack with little voice elements here and there (usually denoting pain or death). You know by now that sound isn’t my thing, but I’d say that they successfully maintained the retro tone of the game with the audio. The story is another truly strong point. From the beginning you follow the main character through a life changing tragedy. Suggesting what that tragedy is would spoil its impact, but all you need to know is that as a result, he is left in an existential quandary. As a scientist and philosopher, questioning the very nature of existence and the fabric of reality can have profound effect on how you live your life. One of the key results of your unfortunate event was the experience of a new color. You and I might scoff at the concept of becoming obsessed with rediscovering the color blue after encountering it for the first time, but from the point of view of the characters it is very valid to question how such a thing could exist and, more to the point, how they could experience it. 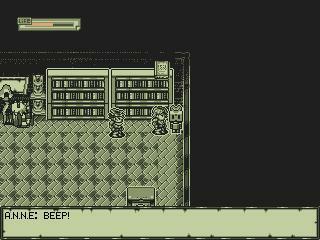 The dialogue of the game is at times emotional and other times comedic. You’ll explore topics like suicide and the price of obsession, while moments later being warned that if you make the game too colorful, people will think it is for kids. My personal favorite side chat involves someone pointing out that slicing grass does not produce hearts. The hearts come from small animals hiding in the grass. I was impressed with the balance of fourth-wall inside jokes and dead serious explorations of morality. It was one of the things that drove me forward in my gameplay. I’m a big fan of what Two Brothers set out to do. It skillfully incorporates classic technical aspects of video games themselves into both the story and gameplay in a way that blurs the fourth wall in the most artistic of ways. Unfortunately, cleverness of concept will only get you so far. Losing a game to a corrupted save or having to frequently restart because an enemy’s attack made the game unplayable are the sorts of things that burn through goodwill with me very quickly. There’s much to like with this game, but too often it felt like I was less battling the enemies and more battling the game itself. A few updates and iterations will probably easily add two points to this game’s score, but as it stands right now, it needs work. 6.7 / 10: Two Brothers has a strong story and some fun aspects that toy with the medium, but bugginess and an overall lack of polish were problematic for me. Hey everyone, let’s live in this hollowed out panda!